Montanita is the surfers’ paradise for Ecuadorians and is gradually developing into a tourist destination. During this particular evening there was a major rainstorm that created a double rainbow and a breathtaking red and orange sunset over the entire area. As the sun was setting, surfers paddled out into the 8­10’ waves off the point. 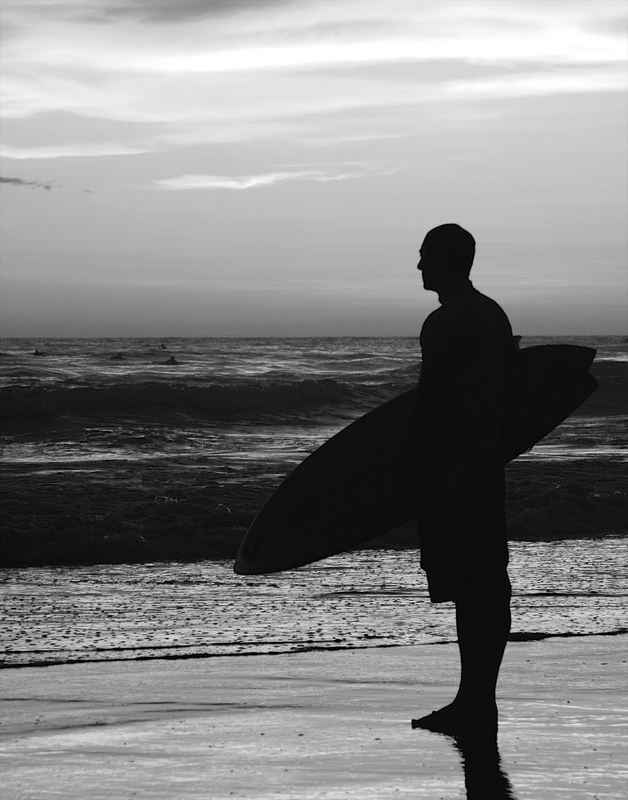 Here is the silhouette of a surfer on the beach as he checks out the best location to enter the water.